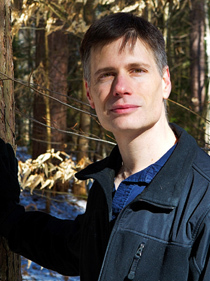 Luc Reid delivers engaging, practical, evidence-based talks for keynotes, workshops, seminars, meetings, conventions, and other events in New England, upstate New York, and parts of Quebec. Luc’s topics, informed by years of research, writing, interviews, coaching, and practical experience, include techniques for creating personal drive and focus, organization, writing motivation, fitness and health motivation, goals, habits, and living a more fulfilling life. 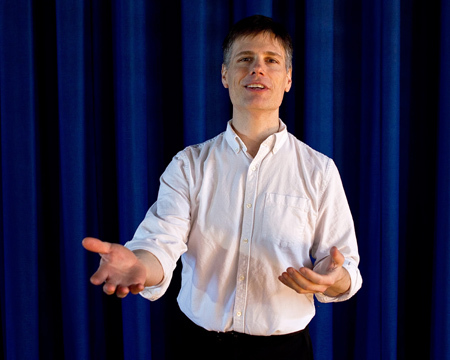 Despite researching self-motivation, Luc is not a “motivational speaker”: instead of getting audiences temporarily excited, he invests participants with knowledge of specific mental tactics, the understanding of how and why they work, and the means to transform them from abstract knowledge to meaningful action. Luc works with non-profit groups, writers, health and fitness organizations, socially and environmentally focused businesses, cooperatives, and other groups who are dedicated to improving life for their employees, members, clients, customers, and communities.